Although Islam as a faith may be noted for the degree to which it is practiced, unfortunately usually in our times this practice has lacked the spirit of Islam. The rituals are mechanically performed as if only a kind of social custom while the spirit of Islam has been almost totally lost. This book aims to illuminate the spiritual radiance of Islamic worship and to clothe it in stories of the lives of the prophets and their companions and also in the lives of exemplary Sufis. In particular many references to the poetry of Rumi, Yunus Emre and other Sufis aim to bond the passion of our spiritual practice with its ritual form. The chapters on paying charity and poor-due possess great beauty. The deep analysis they afford of the economic philosophy integral in Islam, abundantly demonstrates their inherent value in our grossly material world. 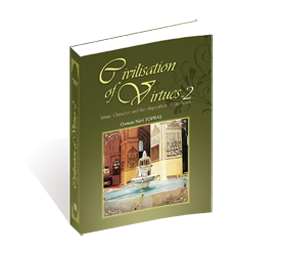 Es ist noch keine Bewertung für Civilisation of Virtues - 2 abgegeben worden.